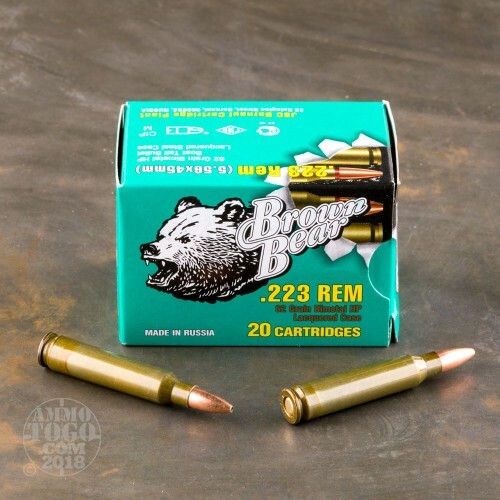 This 223 Rem cartridge by Brown Bear is manufactured by the Barnaul Cartridge Plant in Russia. It accordingly features the country’s well-known steel casing, a cost-effective yet non-reloadable solution for practical all day shooting. The “Brown” in its brand’s name comes from this round’s casing’s lacquer coating, which gives it some resistance to corrosion as well as enhanced lubricity for smoother cycling. 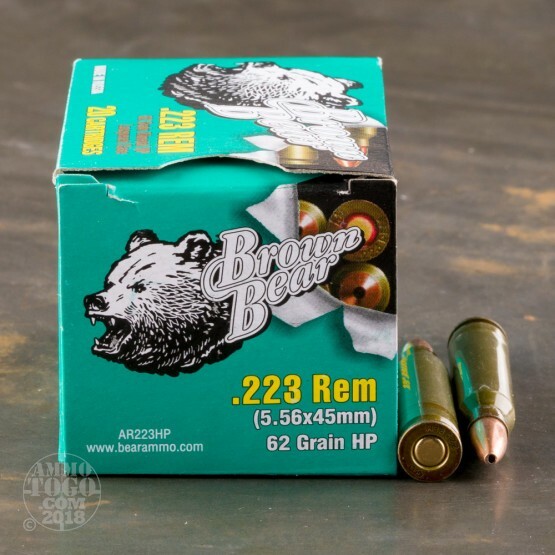 This round further offers a non-corrosive Berdan primer, making it a good choice if you're after ammo that you can store long-term. 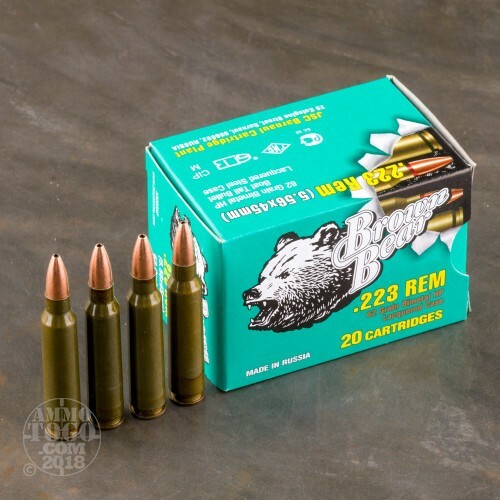 This round sports a 62 grain projectile, making it perform like the more modern iteration of its caliber first introduced in 1980. The bullet’s hollow point meplat is narrow to give it a good aerodynamic profile, and will cause some expansion during penetration in order to deliver knock-down power. 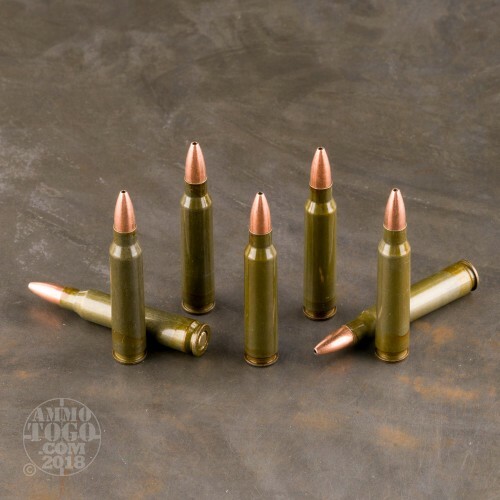 This bullet’s hard metal jacket will prevent lead fouling within your AR-15’s bore in order to preserve its accuracy over the course of an extended shooting session.